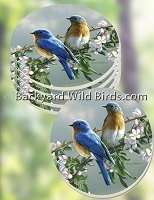 Welcome to Backyard Wild Birds new Responsive Design Website for use on all devices like: Laptops, Tablets, and Smart Phones. 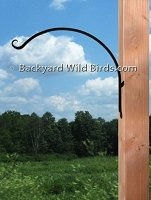 Birders across America use our Bird Feeder Poles to have raccoon proof and squirrel proof bird feeders. 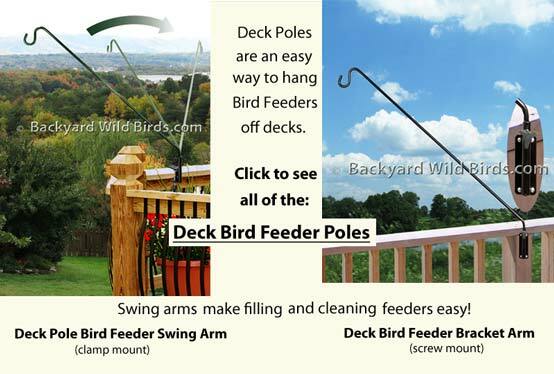 The effective Bird Feeder Pole Systems include bird feeders, bird feeder poles, and squirrel stopper baffle protectors. 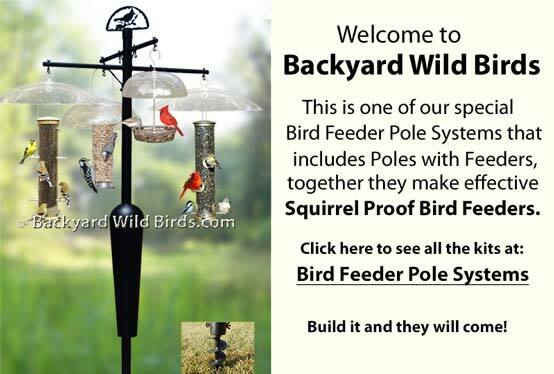 There are also Squirrel Proof Bird Feeders to use without a pole to be able to join the fun of one of the most popular hobbies in the America. 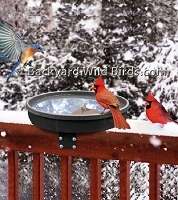 You too can attract, feed, and enjoy Backyard Wild Birds. Need some great backyard landscaping ideas? 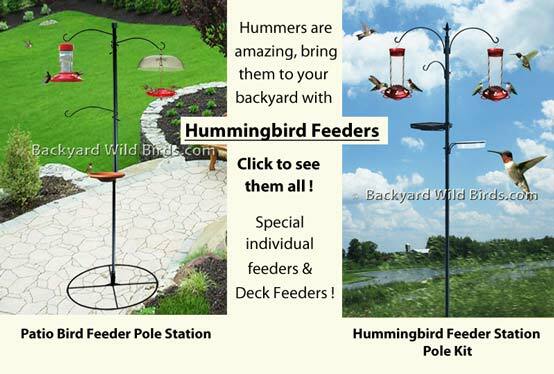 Bring in nature with your very own wild bird feeder show. 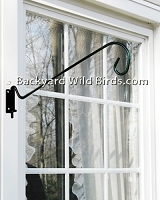 Start by selecting a spot that accents your backyard and gives a great view. 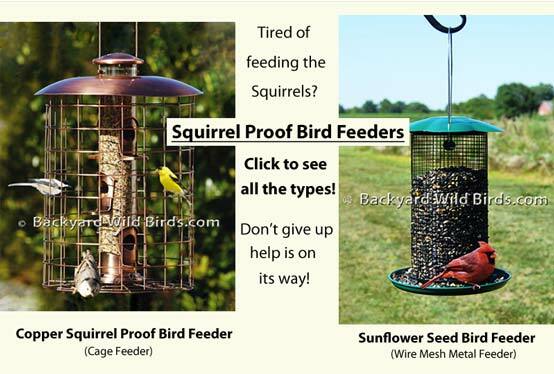 Be sure to see our Birding Info page with FAQ's about How to have Squirrel proof Bird Feeders with explanations and Design examples. 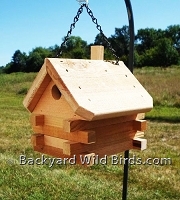 Also has Birding Info on How To Set up Bird Feeder Systems and keep them from being taken over by pests? 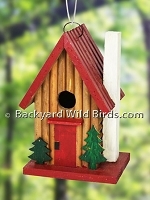 Attract wild birds by creating your own backyard habitat. 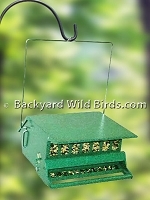 You will be amazed to see their different behaviors and hear their intricate songs. 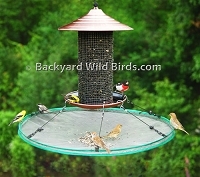 Get fascinated with nature and get started feeding wild birds today! Feedback is important to us! Please Contact Us with your thoughts, impressions or any questions about our products. 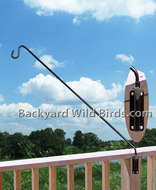 We are posting new products on the website all the time. Contact Us if you don't see what you need. We probably do carry it! 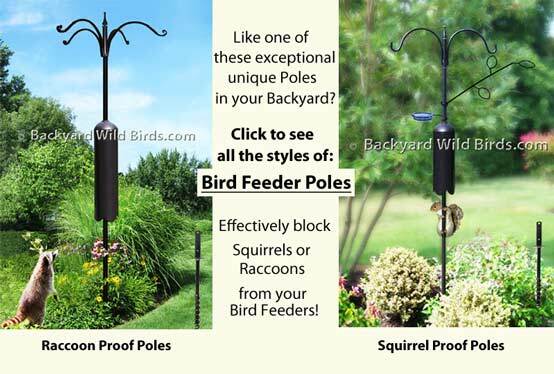 Bird Feeder Poles that block squirrels are what make Squirrel Proof Bird Feeders.